Équipe Lefrancois - Vendre / mise en marché. Choosing the right listing broker is of extreme importance. Nothing should be left to chance when selling a property. When you choose a member of the Lefrançois team, you benefit from over 60 years of combined experience, more than 1,000 transactions in Town of Mount Royal and surrounding areas, a large advertising budget and the strength of a team that is available for you 7 days a week to meet the needs of our customers. In a world where the decision to focus on a property is made from behind a computer or on a phone, nothing should be left to chance. The web image of your property must be at its best at all times. Your broker should be available 12 hours a day / 7 days a week to respond to potential customers for your property. We have the tools you need. Before choosing your broker, meet with us. All our properties feature 3D virtual tours *. Allows buyers to visit from anywhere in the world. All our vendors have access to statistics showing views by the public, and this in real time. 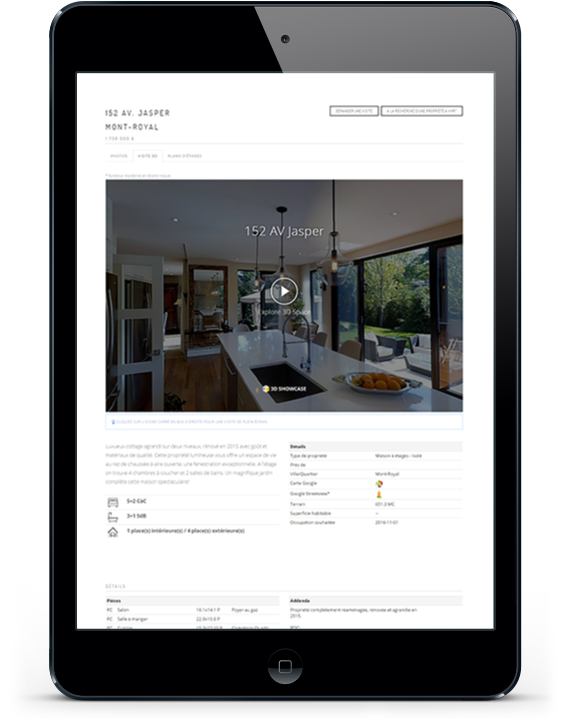 Our social media is used to enhance YOUR property, not just the image of the broker. In addition to our organic outreach, we allocate significant budgets for advertising via social media. Each property receives a polished presentation brochure that enables them to stand out from the crowd during open house visits. A simple and chic design, incorporating the Royal LePage image without broker photos. We will respond within 8 hours of receipt. An evaluation is always free. Our advice is too. It will be our pleasure to meet with you.